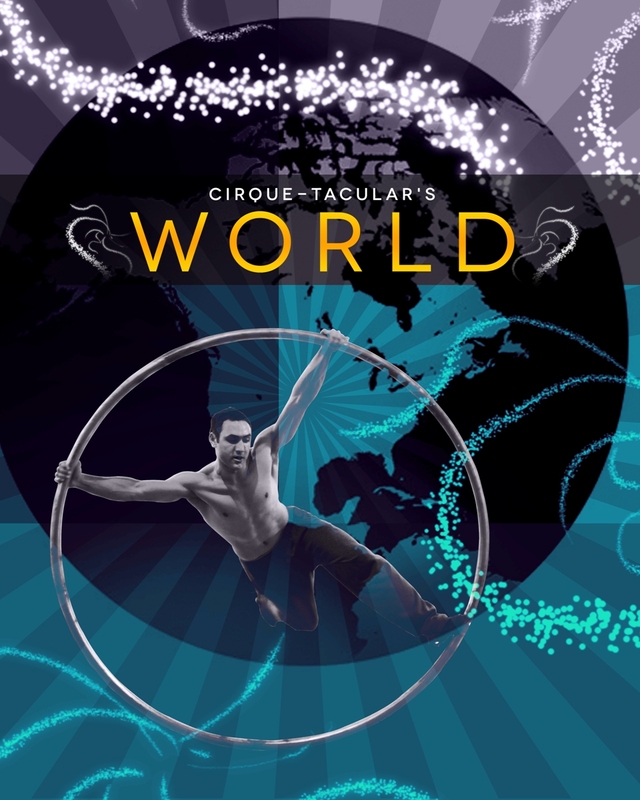 The world-record holding ACROBATS OF CIRQUE-TACULAR present a sampling of highlight acts from their 12 ongoing repertory tour productions. Experience excerpts from their holiday offering SHIMMER, as well as their all-ages, multi-disciplinary acrobatic, musical, and dance options ART OF CIRCUS and GATSBY TO GLAM. 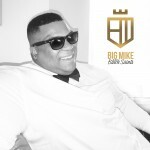 MICHAEL LYNCHE – R&B LEGENDS - Seen world-wide on the Fox TV Series American Idol Season 9, finalist Michael “Big Mike” Lynche’s “R&B Legends” show represents a new breed of soul singer with completely classic influences. Traces of Donny Hathaway, Al Green, Luther Vandross, Sam Cooke and James Brown all seem to flash in this uniquely talented performer. 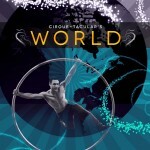 The world-record holding ACROBATS OF CIRQUE-TACULAR present a sampling of highlight acts from their 12 ongoing repertory tour productions. The world-record holding ACROBATS OF CIRQUE-TACULAR present a sampling of highlight acts from their 12 ongoing repertory tour productions. 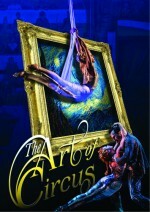 Experience excerpts from their holiday hits for families: SNOWKUS POCUS, and SPOOKTACULAR, as well as their all-ages, multi-disciplinary acrobatic, musical, and dance options ART OF CIRCUS and CIRQUE-TACULAR’s WORLD. GALUMPHA – So What is GALUMPHA? IT’S A PERFORMANCE GROUP THAT SINGULARLY BLENDS MODERN CHOREOGRAPHY, MARTIAL ARTS, PHYSICAL COMEDY, ACROBATICS & THE ART OF HUMAN ARCHITECTURE! 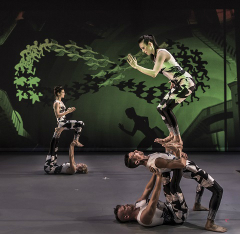 The three performers form balances that seem to defy gravity and even reason. Galumpha has performed at thousands of venues throughout North and South America, including the Kennedy Center, The Shanghai International Festival and has won the Edinburgh Festival’s prestigious Critics’ Choice Award. 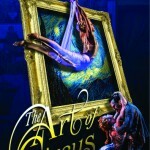 MARK NIZER attending APAP in Booth #1122 – the only Live 4D Show in the World! Technology, juggling, music, lasers and humor create a unique and amazing performance. 4D makes it easy to generate interest and pack the house. We promise this show is great fun for audiences of all ages. The audience wears a special type of 4D glasses that converts Mark’s unique 3D live performance into a 4th dimension. ScienceSplosion is his new Arts in Education show for Grades K to 12. “Saving the Universe One Planet at a Time! Stop by and learn more. © 2016 DCA Productions All right reserved.